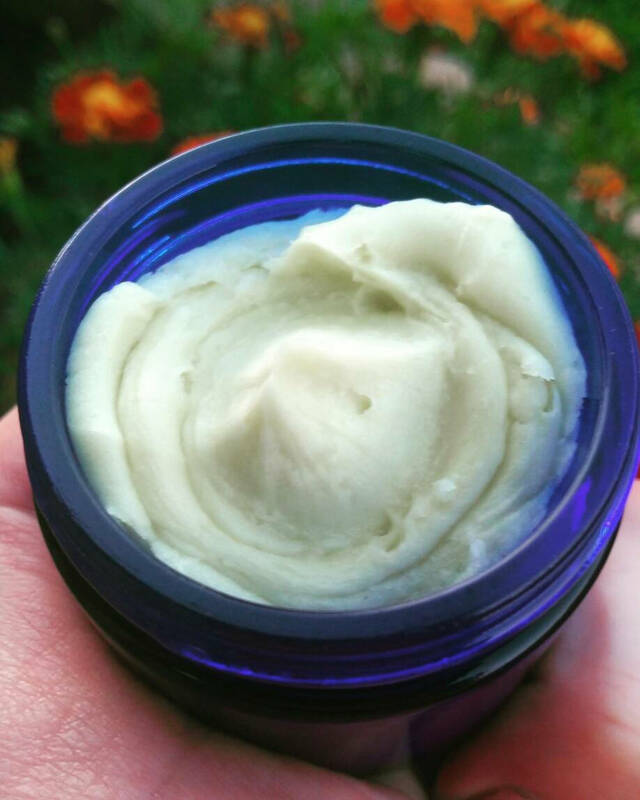 A truly clean face + body moisturizer made with the finest Organic Shea Butter in a percentage that feeds your skin + Organic Hemp Seed Oil + Organic Sunflower Oil. I was tired of things that said "Body Butter" but were anything but. This is a true butter, thick and rich, but easily absorbed. This is not just for body, made with ingredients that won't clog your pores + encourage younger looking skin + seals in moisture + and deeply nourishes.